When it comes to coffee, are you a beginner, quite the specialist, a social drinker or a complete coffee fanatic? Find out what kind of coffee drinker you are and what impact it has on your wallet. *All prices are calculated in reference to a tall Americano from Starbucks in China, 25 RMB. You don't actually love the taste of coffee but need it to get going. If this is like your fuel than the saying “no Coffee no Life” was probably invented for you. Your motto: “Coffee is love, coffee is life"
Your yearly breakdown: 25 200 RMB on coffee or a tour return trip to Maldives and 4 nights at a luxury resort? For you, coffee is essential on Monday mornings and during long meetings but you can survive a day or two without. Coffee, is also a way to reward yourself after a week of hard work or after an important exam. In this case, you most likely choose a sophisticated blend over common blends and do not mind to spend a little more if its worth the price. Your motto: "Today will be one of those days where my coffee needs a coffee"
Your yearly breakdown: 9600 RMB on coffee or 9600 cai Baozi´s? You refuse to visit the popular chains, claiming that an independent coffee place hidden in a ditch is the ‘best in China’. Only the finest arabica beans will do. Your motto: "Life is too short to drink bad coffee"
Your yearly breakdown: 6 000 RMB on coffee or 600 hours in solarium? "We should go for coffee!" actually means something to you. You might not really have a clue about the ins and outs of ordering and can usually be seen starting gormlessly at the menu board while trying to figure out which is the smallest out of a venti and a grande. But hey, that is why you are there with a bunch of people, right? Your motto: "What the hell is a venti?" Your yearly breakdown: 6 000 RMB on coffee or a brand new iPhone 7? Brown teeth and coffee breath anymore??? You used to be the person that brought your own mug to work, took at least 4-5 trips to the coffee station at work and a last little coffee before bed. Now an orange is the new black. Your motto: "You drink coffee? You know that's so bad for you"
Cups of coffee per week: Unlimted, but lets say you drink one at home and you bring one capsule to work. You know everything there is to know about Nespresso and Dolce Gusto machines and their corresponding capsules because you saw George Clooney with one and just had to have it right away. Now you have a strange loyalty to the brand. Slate it and die. ”Weekly amount spent on coffee: Because you buy them in advance in packs of 10 and 20, you spend less than 4 RMB on one cup of coffee according to the price of one coffee capsule from Caffè Perfetto. Your weekly spendings; 56 RMB. Now you know how much you spend and let's be honest, for your yearly coffee spending you could be flying to Bali right now. So, how to enjoy coffee without having to keep an eye on your account balance? We came across Caffè Perfetto’s offer this week on GroupMall here. They are a Hong Kong / Shenzhen based company and offer a huge variety of coffee capsules that are compatible with Nespresso and Dolce Gusto machines.This means that with a few of their capsules you can enjoy unique flavors like ginseng and hazelnut or - for people who like it sweet - chocolate and vanilla, creating what we would like to call it "value for money". These compatible coffee capsules are also available as decaffeinated across Asia. 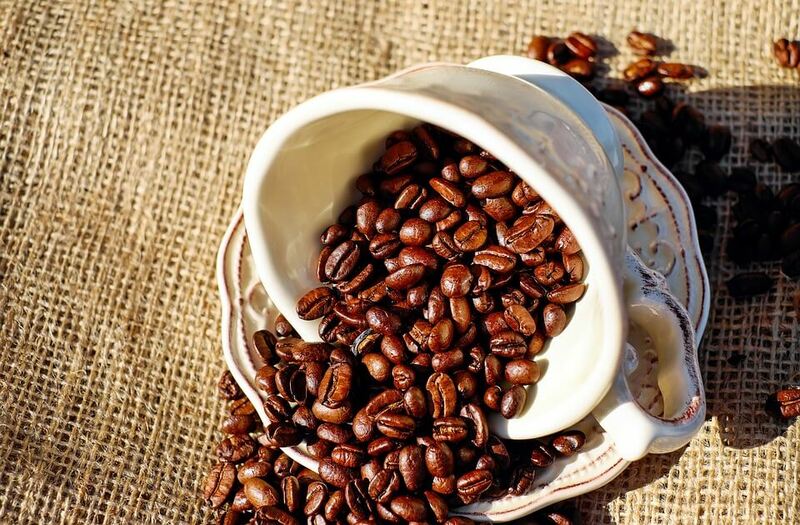 The company also offers high quality roasted coffee beans from the best coffee farms around the world. Check out their beans here. Caffè Perfetto, Coffee, What type of coffee drinker are you?